Not to be confused with Kiev Governorate. Southwestern Krai (Russian: Юго-западный край, Yugo-zapadny kray), also known as Kiev General Governorate or Kiev, Podolia, and Volhynia General Governorate (Russian: Киевское, Подольское и Волынское генерал-губернаторство) was a subdivision (a krai) of the Russian Empire that included some of the territory of modern-day Ukraine mostly on the right bank of the Dnieper River. The territory corresponded to the Kiev Military District. The Governorate General consisted of several governorates (gubernias) and, unlike the gubernia's whose senior position was held by a civilian person, the Governor General on top the General Governorate held was a high-ranking military officer. 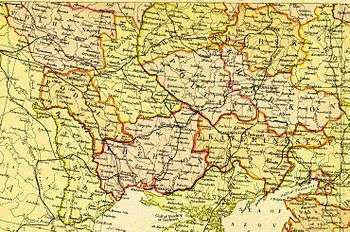 The Southwestern Krai consisting of three gubernias, the Volhynia, the Podolia and the Kiev Governorate, was supposedly incepted on January 22, 1832 when Vasily Levashov, was appointed the Military Governor of Kiev and the General Governor of Podolia and Volhynia. 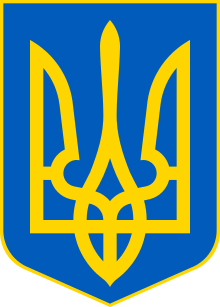 However a position of Kiev Military Governor existed since 1796. From 1881 the territory of the Governorate General was de facto expanded to five Gubernias as Governor General Alexander Drenteln was also appointed the temporary Governor General of Chernigov and Poltava governorates. In 1889 the Governorate General original jurisdiction of only three gubernias was restored. It existed in this form until 1915 when the territorial unit was abolished. Fyodor Trepov was the last General Governor of Kiev. In 1912 the Kholm Governorate, a former governorate of the Congress Poland, was detached from it, and attached to the Kiev General Governorate.